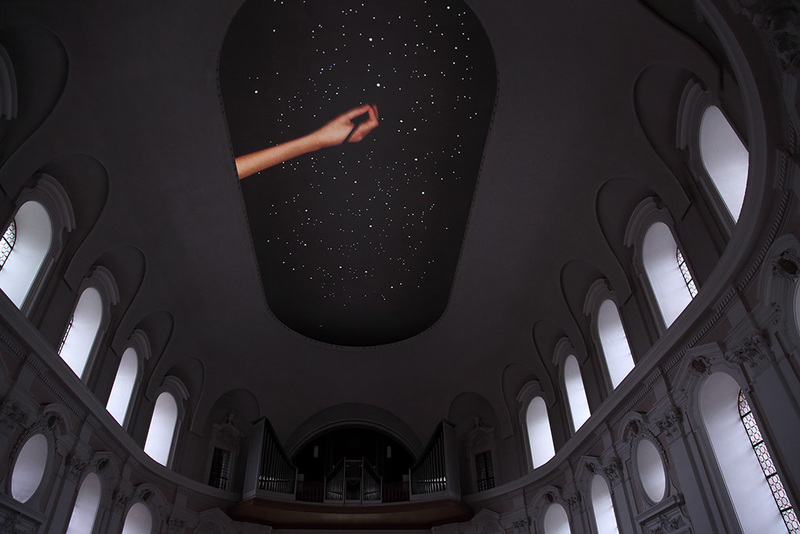 A starry sky is also a map of the time: it shows the exact moment we are living, never being the same. 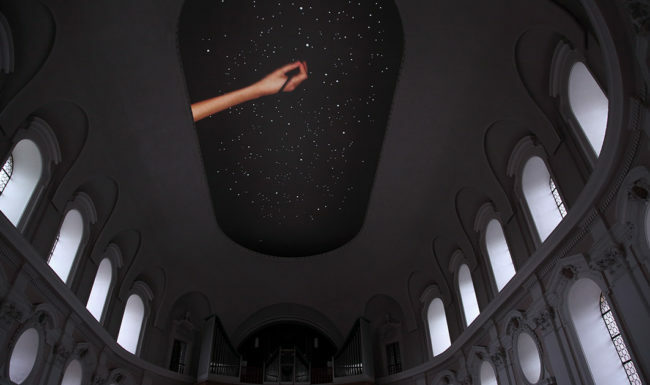 It means we can count time through the positions of the stars in the sky. 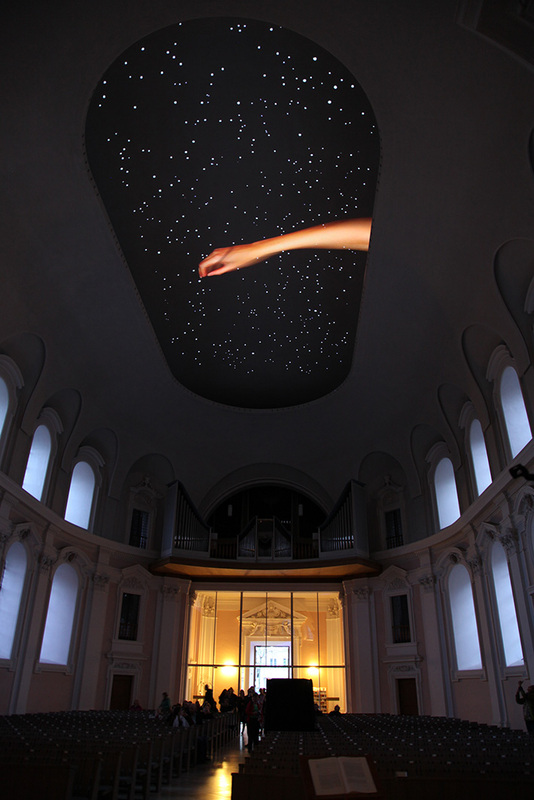 “Odyssey in the sky – ten nights this evening” is a video projection in homage to the most famous journey in literature: Homer Odyssey, narrating Odysseus ten years journey to return home after the war in Troy. 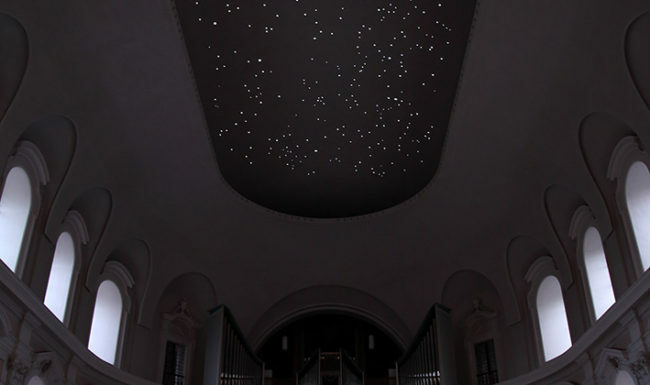 In the video, a starry sky is constructed by punching small holes in a black surface. 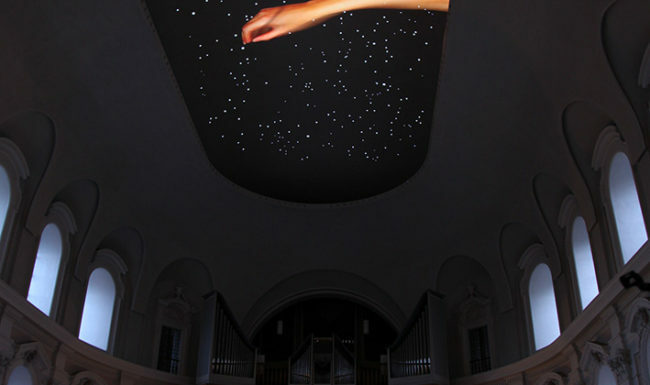 We can see the hand working on this representation of a night sky: each hole allows the backlight to shine and simulate a star in the sky. 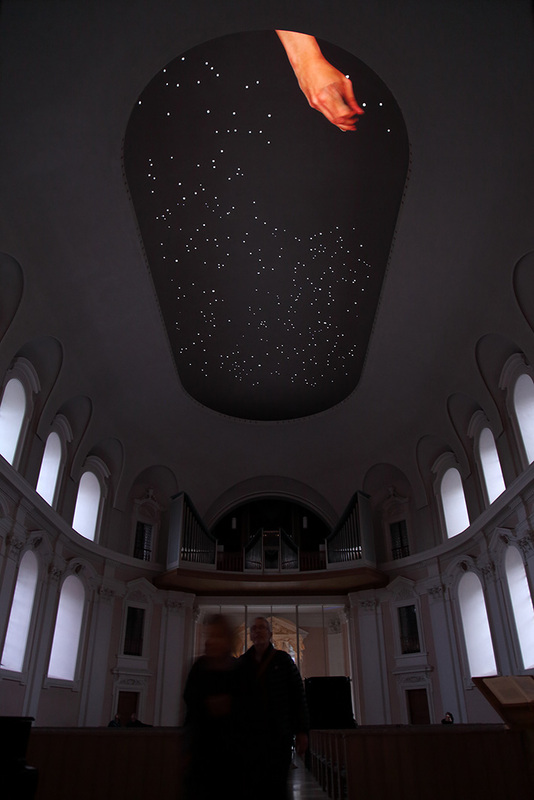 There are ten videos showing the making of ten different skies – each of them for a different year. 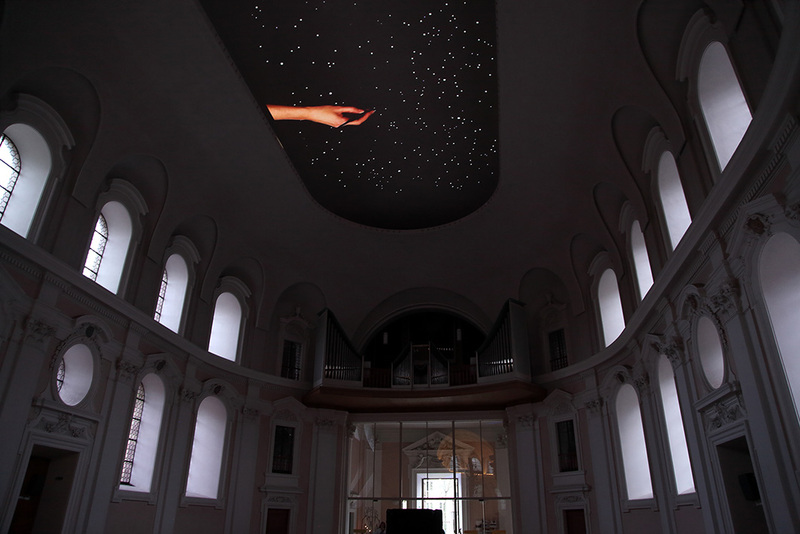 Video installation at St. Egidien Church (Nuremberg, Germany). 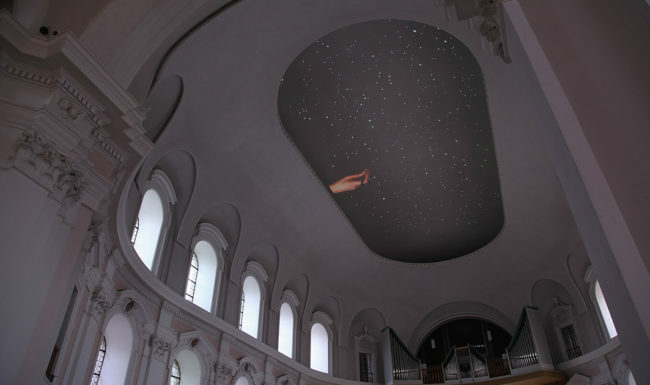 180 min. 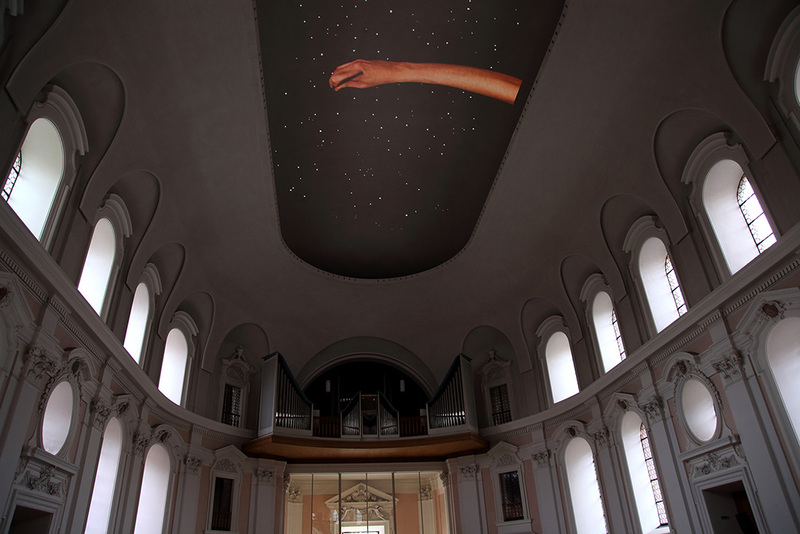 Dimension: approximately 2000x800cm. 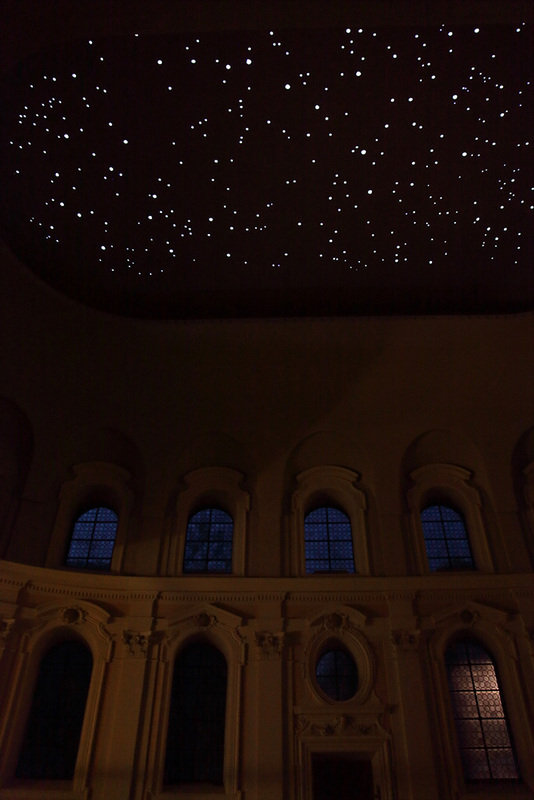 The first sky will be from ten years ago, followed by the sky of the next year, until we have the starry sky of the same night of the presentation at Die Blaue Nacht in May 2017. 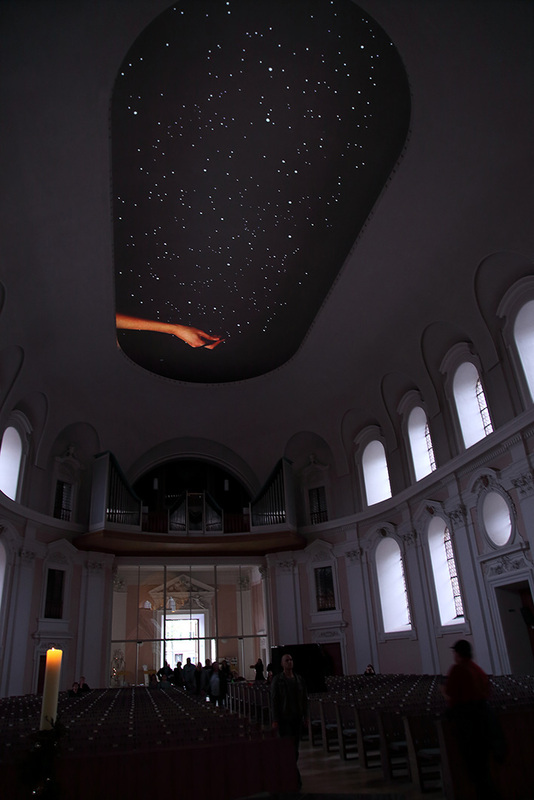 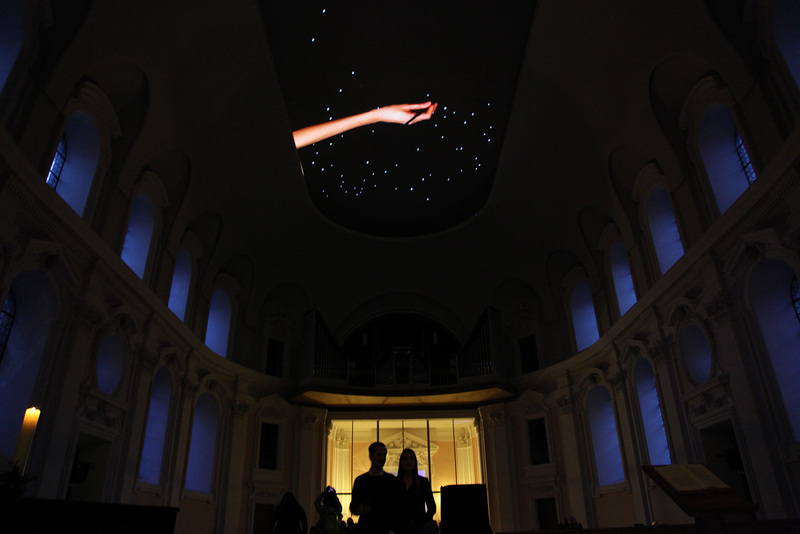 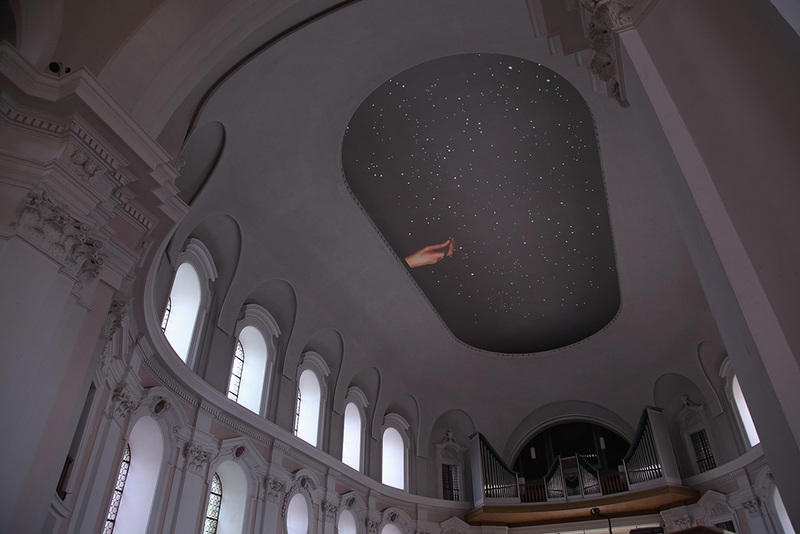 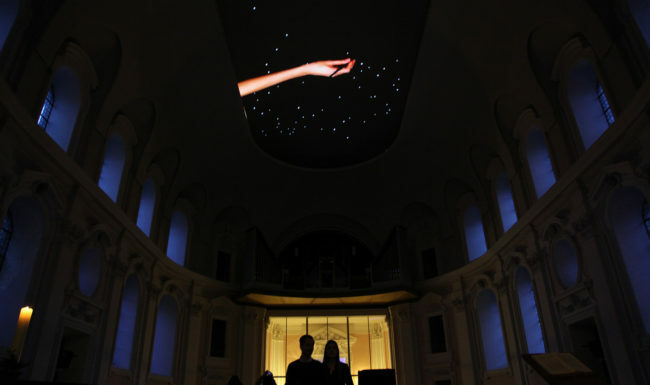 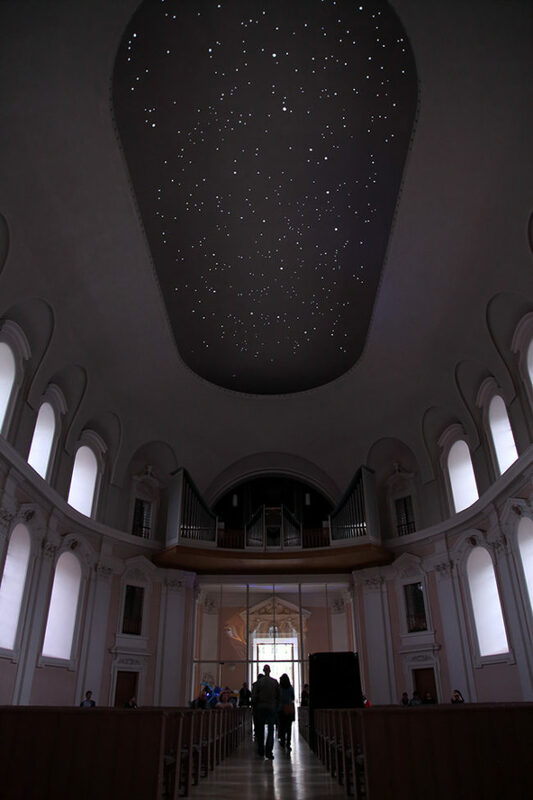 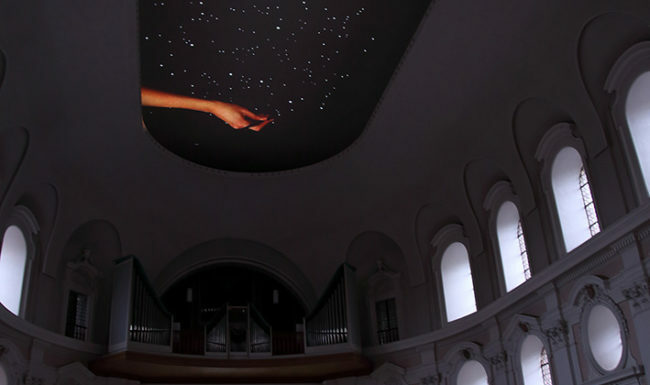 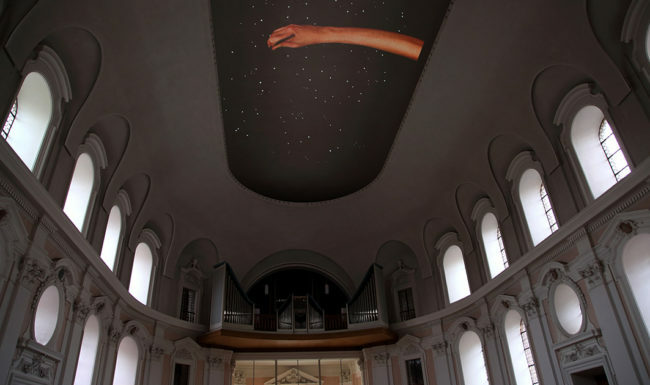 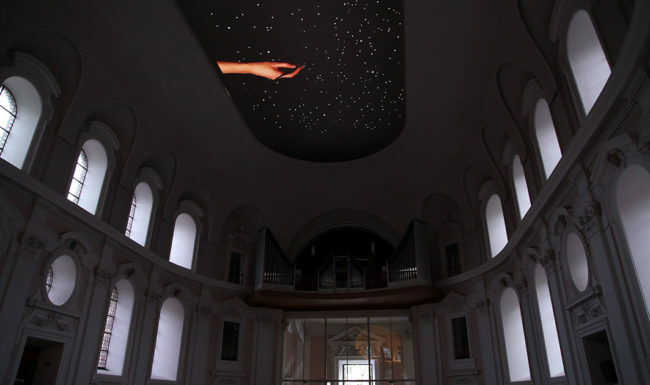 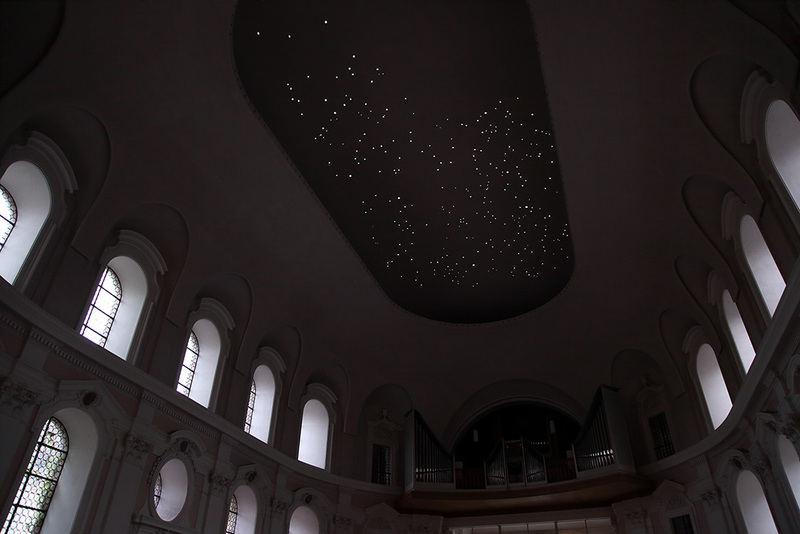 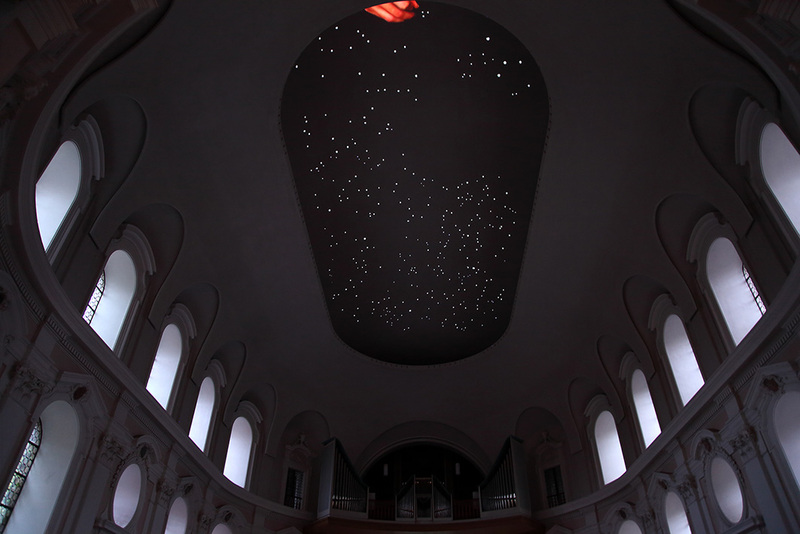 Projecting a night sky in the ceiling of St. Egidien Church is a symbolic way to open up the ceiling. 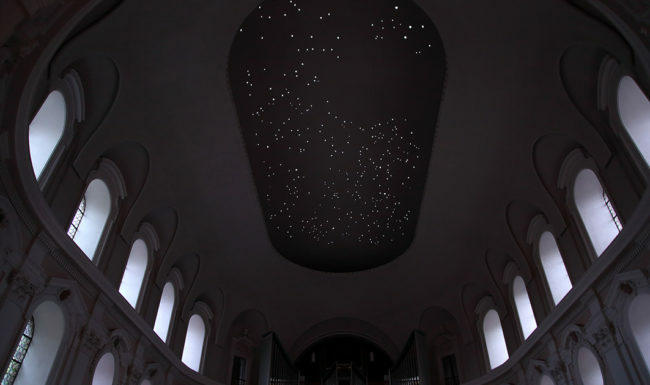 It is also a representation of the passage of time since each stars configuration tells us about specific moments in the History. 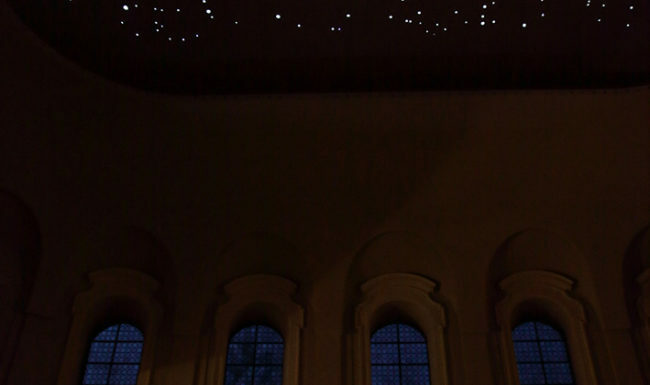 Video installation at St. Egidien Church, in Nuremberg (Germany), during the Die Blaue Nacht 2017.